Triobike is a way of looking at the world where you choose to be free and out-going. You choose to be open to life. Triobike lets you go where cars can not - through green parks and down charming side-streets, breathing healthy air with happy kids. 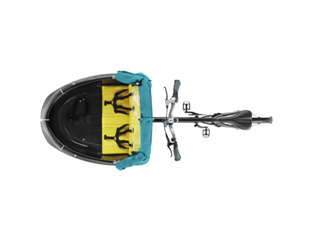 TrioBike are the first cargo bike company to be safety tested by the Danish Consumer Agency and the first cargo bike in the world to introduce 5-point seat belts to keep your kids safe and seated. An intensive quality control check is standard on all our bikes to make sure that you and your precious cargo always arrive safely at your destination. Triobike Cargo: The Triobike cargo model has been tested and fine-tuned over many years under extreme weather conditions to ensure durability and the highest quality. Today, every single Triobike is rigorously tested and fine-tuned before leaving the workshop. This standard quality control check ensures that every Triobike is assembled to perfection. 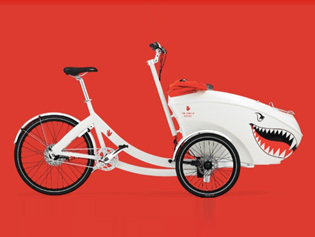 Here at Crown Cycles we are proud to collaborate with Triobike in Denmark to support Triobike's UK customers. We are happy to discuss your Triobike needs, options and to book and organise a test ride for you. Should you wish a helping hand, we are able to install one of our amazing Pendix eMotors to waft you along efforttlesly. Please feel free to call us to discuss any of these options.